The Earth Treasure Vase meditation and ceremony is deeply rooted in an ancient Tibetan practice, which was transmitted to Cynthia Jurs by Charok Rinpoche in 1990. The ceremony is done at the Open Way Sangha every full moon when, according to Buddhist tradition, our prayers and intentions are multiplied a thousand-fold. Our monthly newsletters announce the date of the next full moon and invite you to join us from wherever you are. 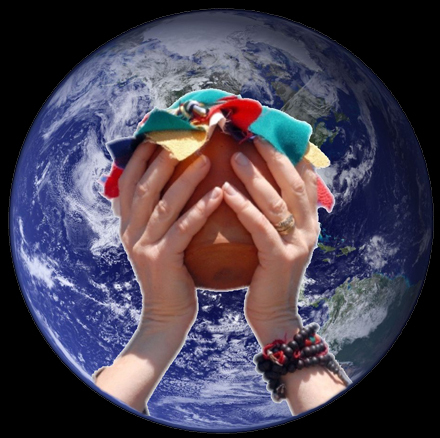 As Joanna Macy, visionary and teacher, has noted, the Earth Treasure Vase practice is a “deeply imagined response to the dangers that we have created for the Earth.” This powerful practice is the medicine and the healing! With ancient roots reaching far back into time, the practice provides a compelling, holistic way to engage the complex challenges we face that could not be more relevant or timely. Inspired by the traditional Tibetan “terma” practice of the Earth Treasure Vase, we have refined a guided meditation over the years that is suitable for any culture or spiritual background. The meditation empowers us to engage in healing the Earth and to plant seeds of change that ripple out endlessly. It can be done by oneself or with a group. It can be recited out loud or contemplated and used as a guide for a silent meditation. If you would like to learn more about the Earth Treasure Vase practice, receive the transmission to do it, or bring a teaching on the Earth Treasure Vase practice to your community, please contact us at info@earthtreasurevase.org. May the merit of this practice bring benefit to the whole Earth and all beings, and may the depth of caring that is our motivation continue to increase!